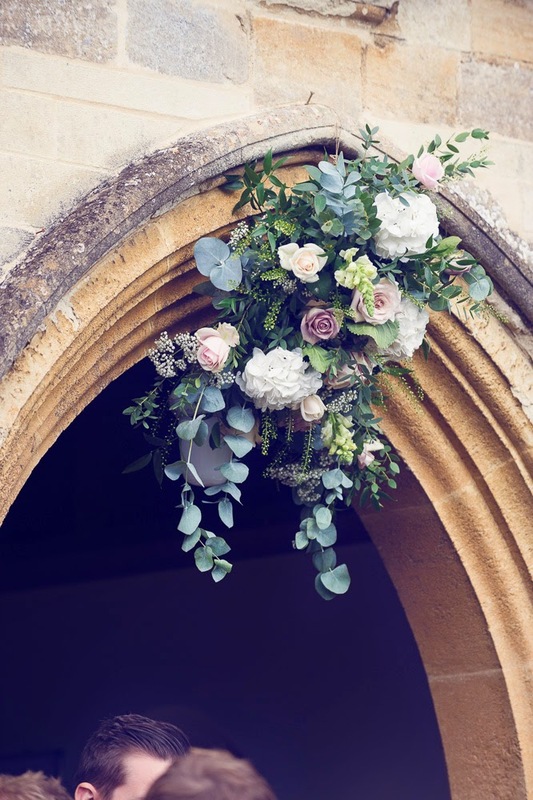 Andrew and Mim's beautiful black tie wedding at Blenheim Palace, Oxfordshire - Joanna Carter Wedding Flowers | Oxford, Oxfordshire, Berkshire, Buckinghamshire and London. 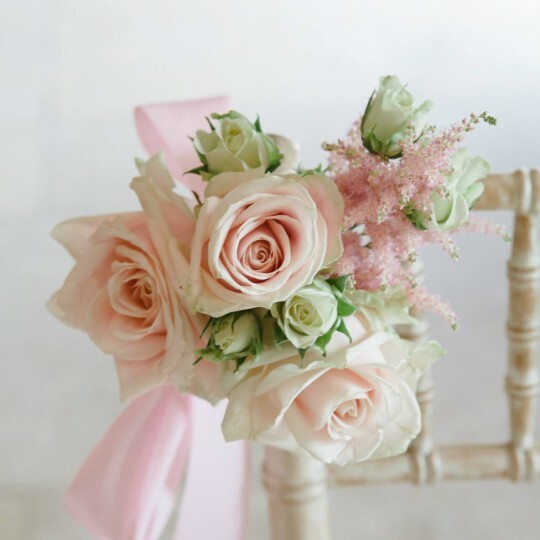 Mim chose a palette of ivory, cream, blush and vintage taupe pinks for her flowers. It was stunning. 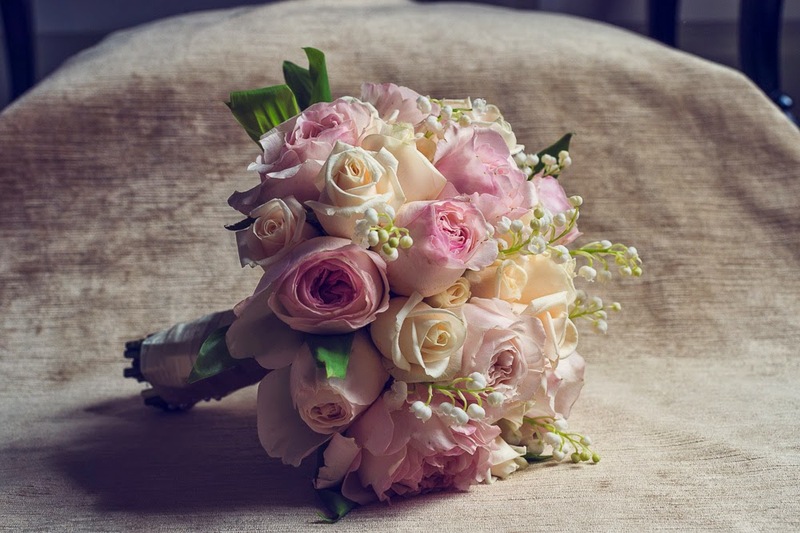 Mim’s bouquet was made with blush pink “Keira” roses from David Austin with cream vendella roses, pale pink sweet avalanche roses and lily of the valley which added a subtle scent to the bouquet. 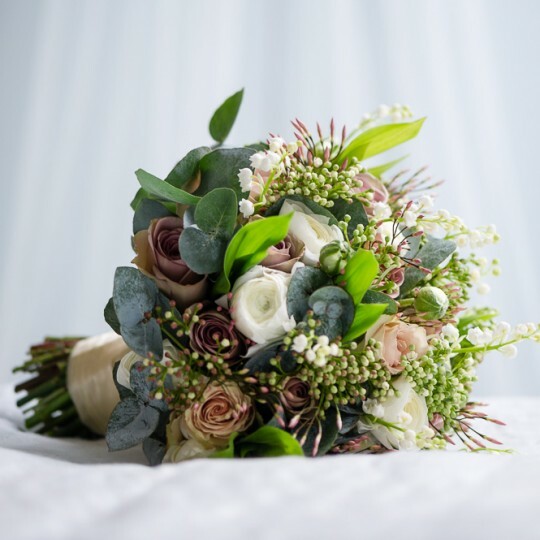 This was without doubt one of my favourite bouquets of the year. 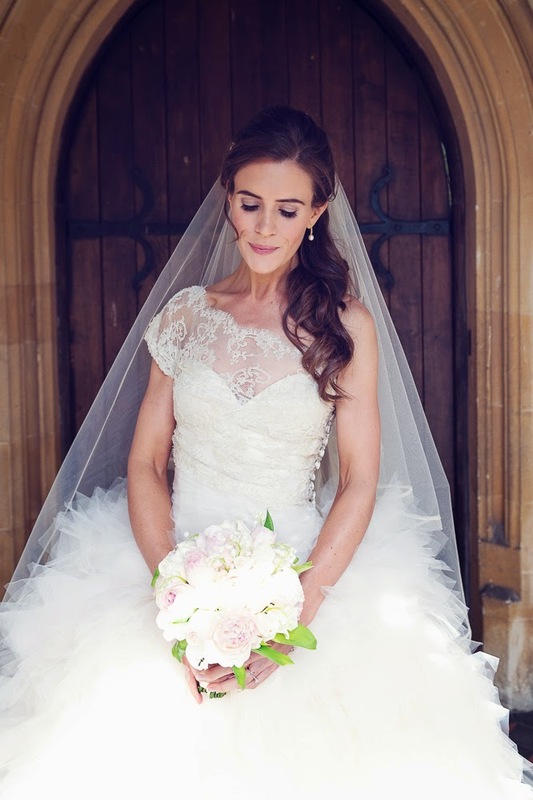 The bouquet was a brilliant match for Mim’s amazing cream ruffled dress. 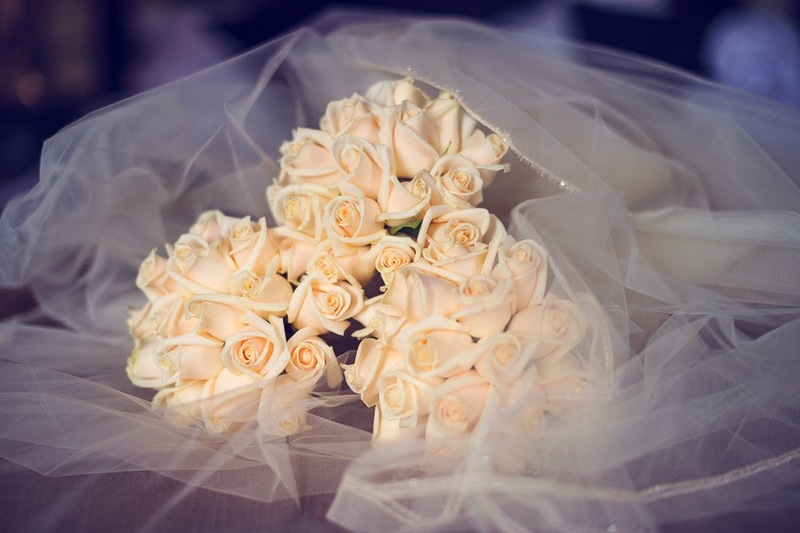 The 3 bridesmaids carried very simple domes of cream vendella roses. 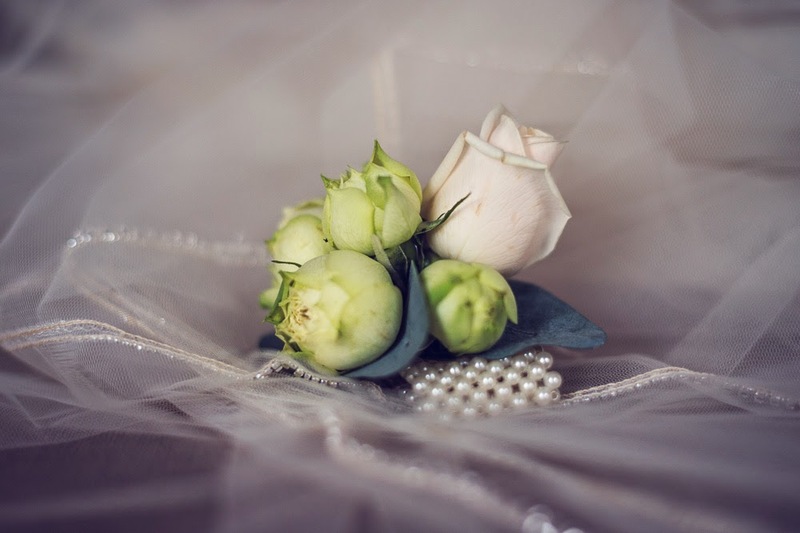 For the bride and groom’s mothers we made wrist corsages on ivory pearl bracelets with ivory and soft green rose buds. Andrew and Mim’s church service was in the lovely historic church in Bladon where Winston Churchill is buried. 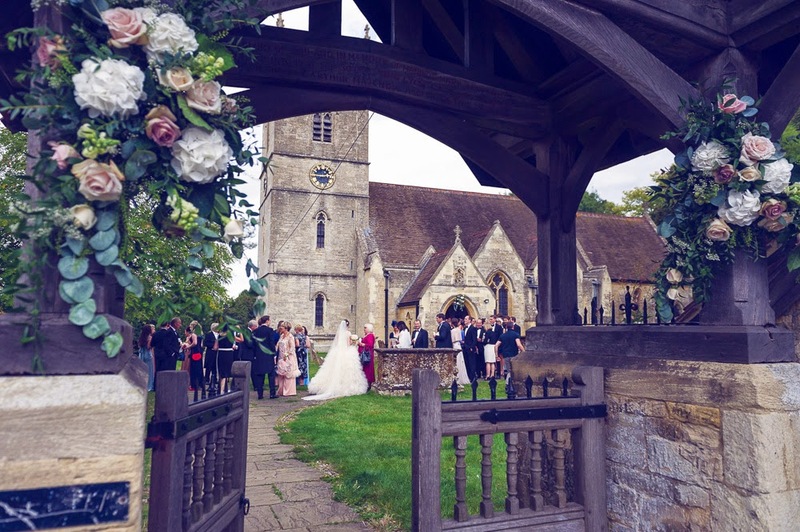 It is a stunning old cotswold stone church and is a gorgeous setting with lychgate and arched entrance way. At the church we placed a swag over the main door and on the Lychgate at the entrance to the Church. 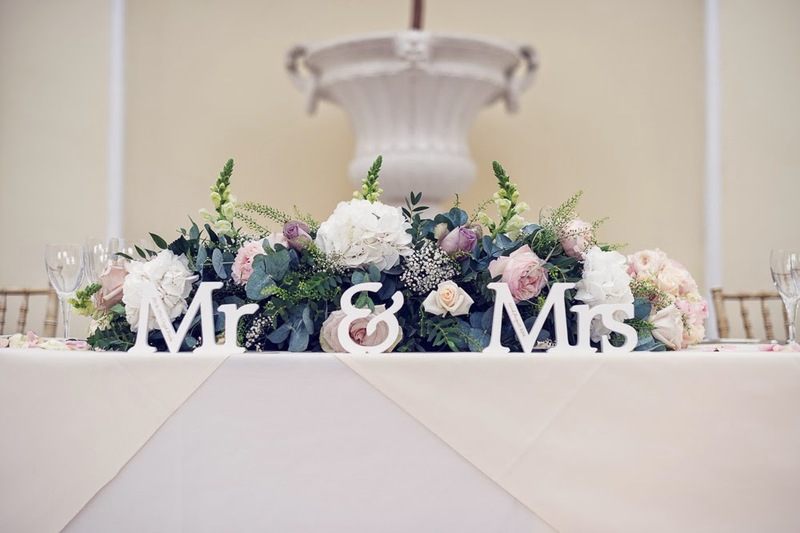 Following the ceremony the wedding moved to the lovely setting of the Orangery at Blenheim Palace. 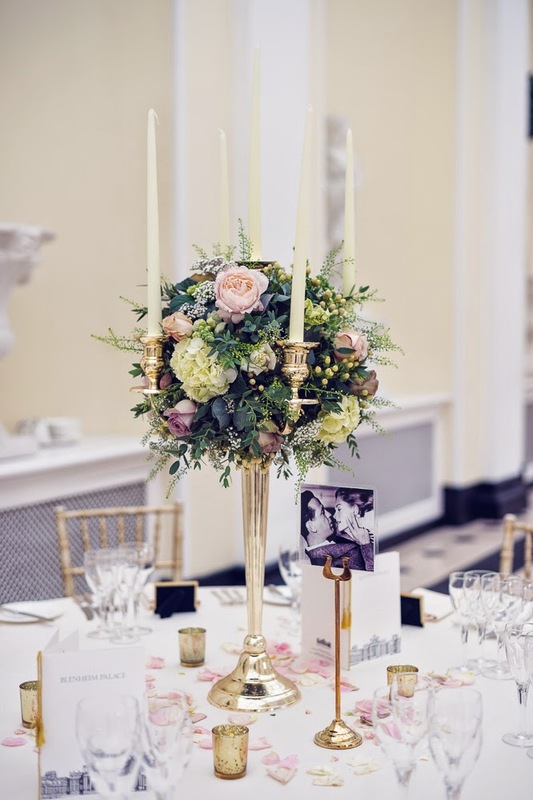 We placed elegant gold candelabra on each of the guest tables and a long low arrangement on the top table. 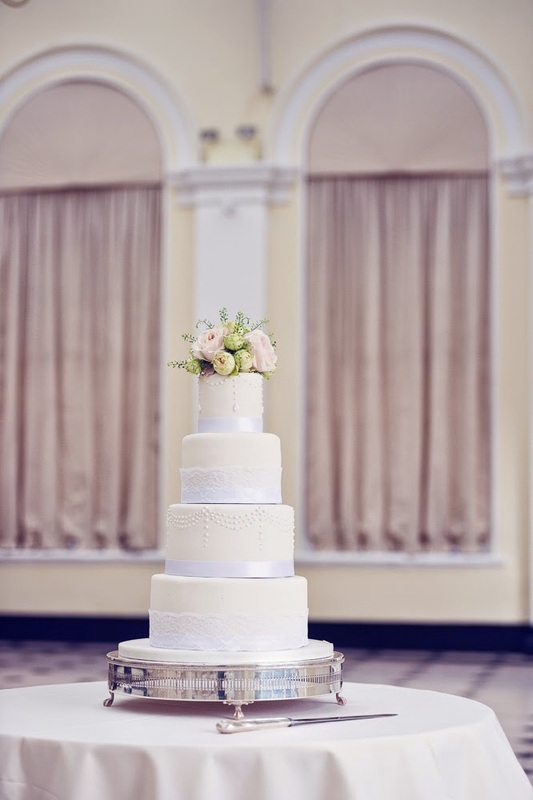 The elegant cake just needed a simple dome roses on top to finish it off. 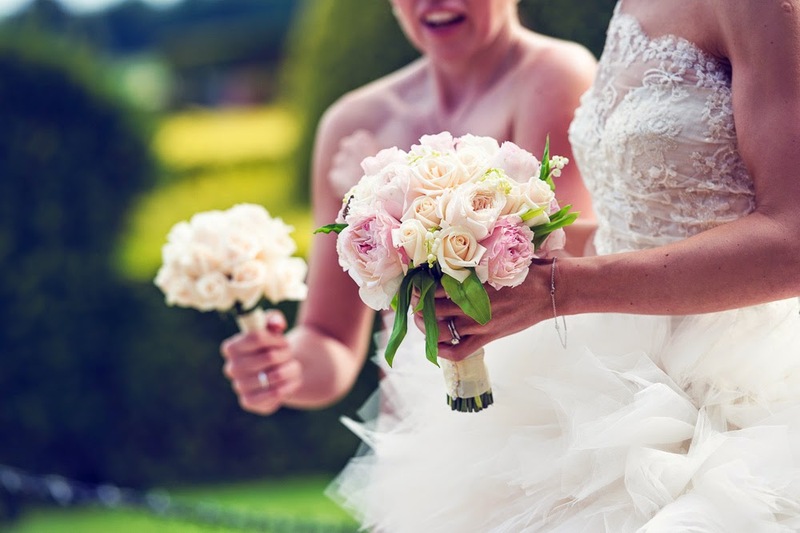 A really beautiful wedding and a joy to be part of.